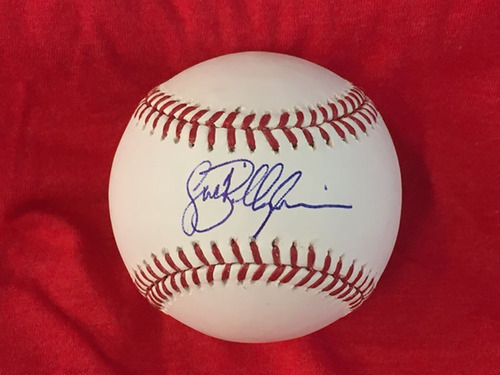 An Official Major League Baseball signed by Reds Hall of Fame pitcher Jack Billingham. A 1973 National League All-Star, "Cactus Jack" pitched for the Reds from 1972-1977 and set a record for lowest career earned run average in postseason play. A member of the 1975 and 1976 World Champion Reds, Billingham posted back-to-back 19-win seasons in 1973 and 1974. The baseball is housed in a protective cube and comes with a Certificate of Authenticty from the Reds Hall of Fame.